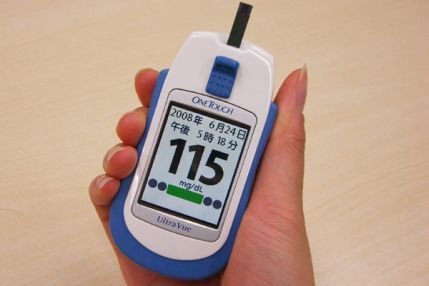 Millions of people including physicians around the world are fighting the problem of high blood sugar levels (hyperglycemia) and fat in the blood, which causes people to suffer from various deadly diseases. Is there any conclusive medicine or reasonable exercise or answer for them? As usual, your family physician will tell you to do "exercises" and "diet control". Yes, we know it very well. But it's not as simple as what doctors are thinking and advising to their patients. Is it not the reason that the number of patients suffering from an abnormally high blood sugar are increasing dramatically? What is the main problem behind the doctor's advice? Exercise? No available time for busy people? What we know is that for many people, it is just too lazy to exercise every day. We do notice that housewives who do everyday kitchen tasks have lower and less blood sugar spikes compared to office girls. 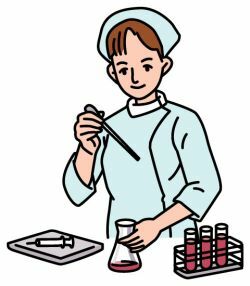 To study it farther, we gathered blood samples among hundreds of volunteers involved in various works every three hours to check sugar contents and data of their works. We came into conclusion that "exercise" and "diet control" that your physician repeatedly tells you about may not convince you at all, but they are definitely right. To exercise by means of walking, jogging, or cycling, for at least one hour every day is very effective for the reduction of blood sugar and fat. However, the majority of people living in cities have no time or are just lazy to do it. How about if it is just for a minute or two? Can you do it? If so, try it as often as possible in a day, like, let's say 10 times. As I mentioned above, housewives who always work in a kitchen walks several miles within their kitchen at least three times or more in one day. Probably, it is the reason that they can maintain normal blood sugar levels. As you know, when you exercise, your muscles activate and the hypoglycemic substances (similar to insulin) will help decrease the level of glucose in your blood. This substance is called hypoglycaemic AMP enzyme. Here, we are just emphasizing that it is not necessary to exercise for several number of hours to lower your blood sugar, but only a minute of exercise few times a day can work wonders for you. It is good not only in avoiding serious diseases but noticeably helps diabetes patients as well. One simple exercise is to use stairs instead of using an elevator, lift, or escalator. 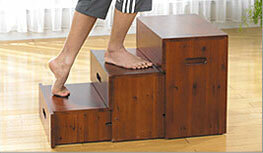 As you can see from the photos above, simply do up-and-down steps for about 2 minutes, 3 times a day, for beginners. This simple exercise may eliminate all of your problems. 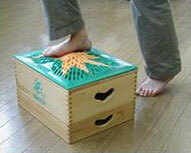 With this step exercise, 50 volunteers suffering from hypertension and high blood sugar experienced good results.